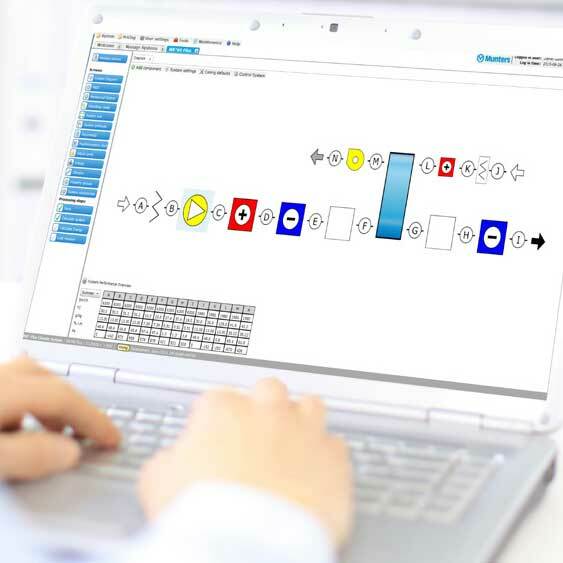 Divid has developed an all new web-based sales configurator, Systemair Design, that helps Systemair sales and customers to select and calculate Systemairs air distribution products. 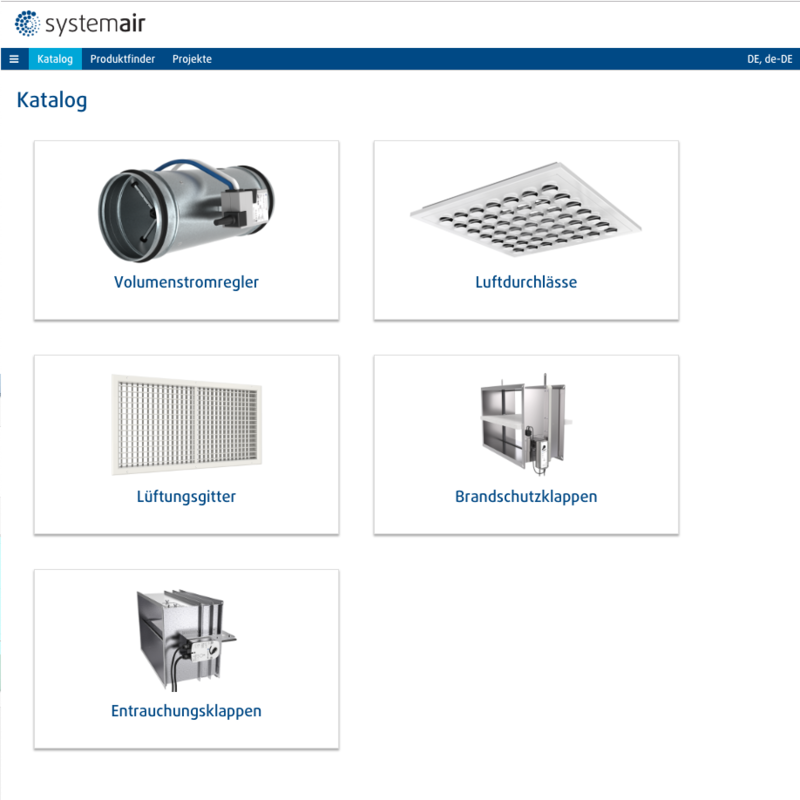 Systemair Design consists of three main parts; Catalogue, Product Finder and Projects. The Catalogue and Product Finder are public while the Projects require a login. The Catalogue is an always updated product catalogue with all technical data available online. 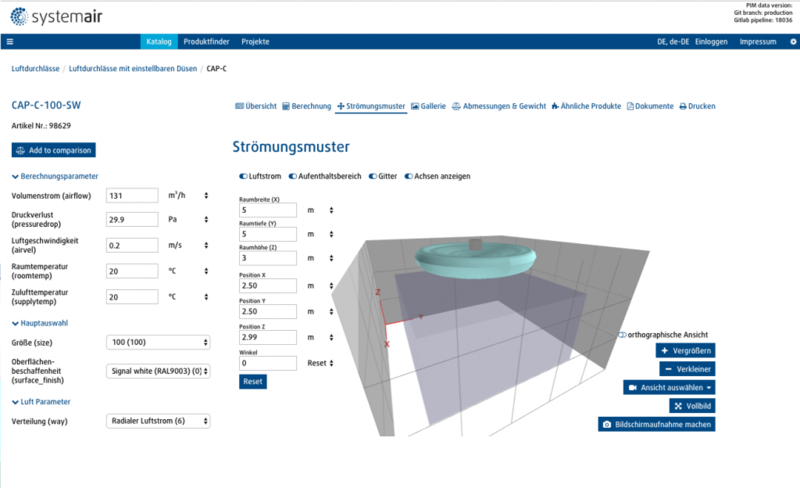 It is possible to get customized printout based on user input and calculations. One feature that is used a lot is the dynamic flow pattern that is visualized in 3D based on user input. 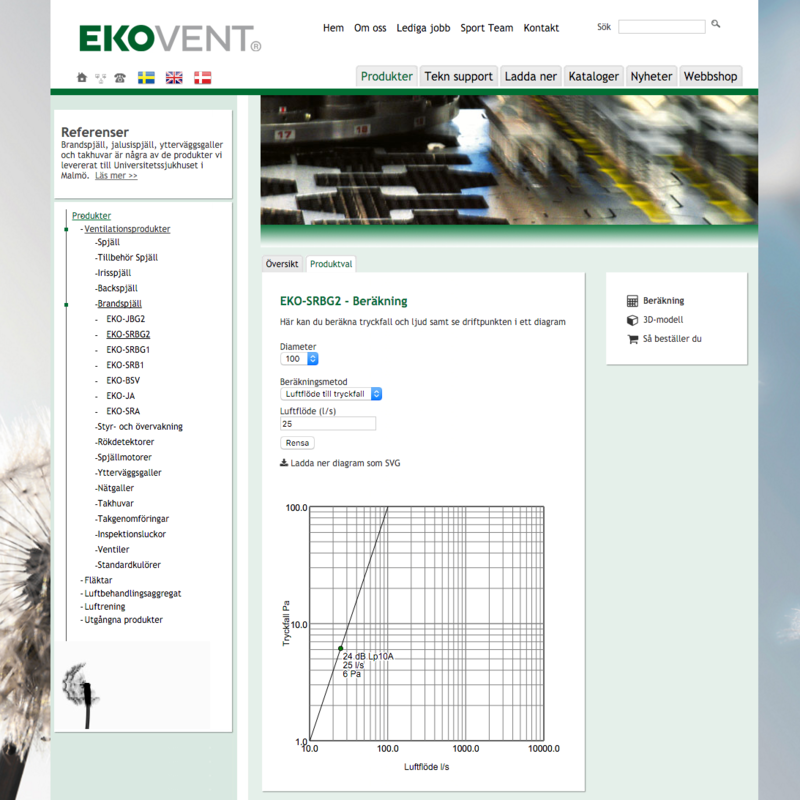 The Product Finder helps the customer to select the right product from given input conditions such as air flow and pressure drop. 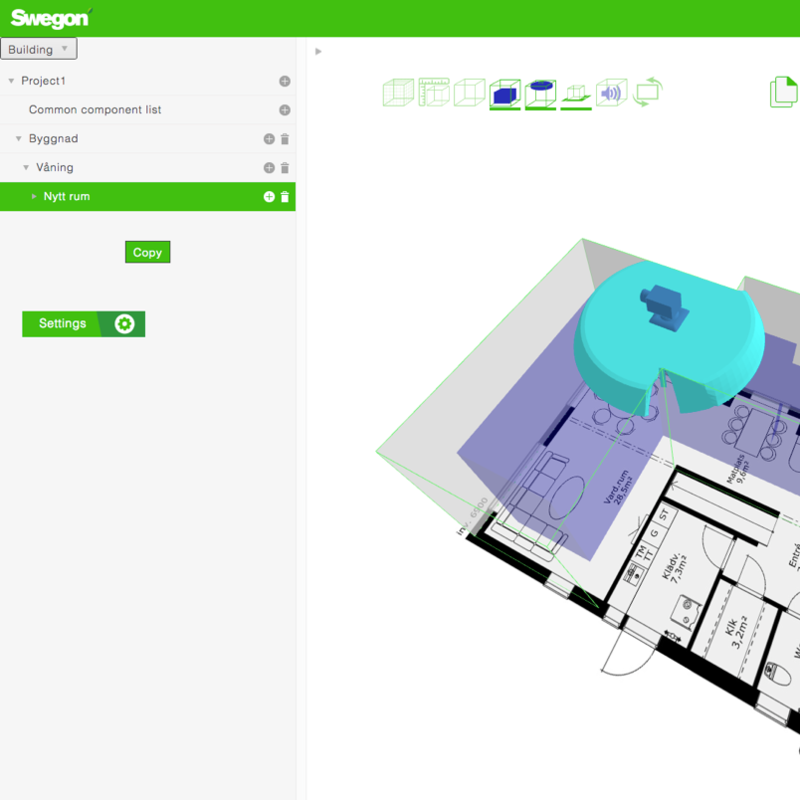 In the Project part it is possible to add whole buildings with rooms and add one or more products to each room. This gives complete information and correct technical data as base for a quotation. Systemair Design uses Divid Promaster for all data and rules handling. Our company has reported an operating profit annually since its inception and continues to do so. During the past 10 years, the Company’s growth rate has averaged about 9 percent. The Group includes about 65 companies with 5,800 employees.